Your application worked perfectly fine on your development and test system. But shortly after you deployed it to production, your customers start complaining about the bad performance. Be reassured; this happens quite often. In the past, I experienced these issues several times myself. And I learned that we shouldn’t blame Hibernate for these problems. Hibernate can easily handle the performance requirements of huge enterprise applications with thousands of parallel users. ​Over the last 15 years, I analyzed and improved the performance of lots of different applications. I learned that most of the performance problems are caused by the same mistakes and can be easily avoided. ​Used correctly, Hibernate is an amazing framework that enables you to implement a high-performance persistence layer while enjoying the productivity of Java's most popular OR-mapping framework. 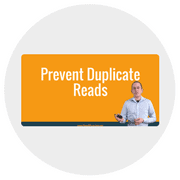 ​Unfortunately, there isn’t a lot of specialized training material available that focuses on all the performance pitfalls that are so hard to find on small test databases but cause horrible results in production. That’s why I decided to share my experience and knowledge in the Hibernate Performance Tuning Online Training to guide you on your way to becoming a sought-after Hibernate performance expert. You will understand the cause of common Hibernate performance problems and how you can avoid them to implement an efficient, high-performance persistence layer. You will learn how to find potential performance problems during development so that you can fix them before they cause trouble in production. 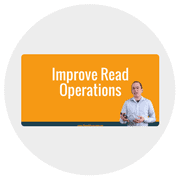 Hibernate provides several options to implement read and write operations. I will show you the performance impact of each of them so that you can choose the best approach for your use case. Your knowledge about Hibernate performance tuning will get you expert status within your team and enable you to work on the most critical tasks available. how to find and fix performance problems before they cause trouble in production. Learn about typical causes of performance problems and how to identify them at early stages of the project. Understand Hibernate's different caches and how to combine them to get the best performance. Select the best option to implement efficient write operations. Use different techniques to solve the most common group of performance issues. 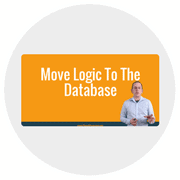 Learn about the benefits of performing logic in the database and how to achieve that with Hibernate. 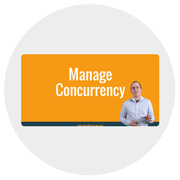 Understand Hibernate's concurrency handling to avoid issues in production. 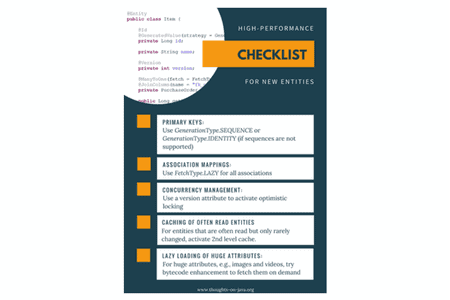 a high-performance checklist for new entities. It’s good to know the different techniques you can use to build a high-performance persistence layer with Hibernate. But what about existing applications? 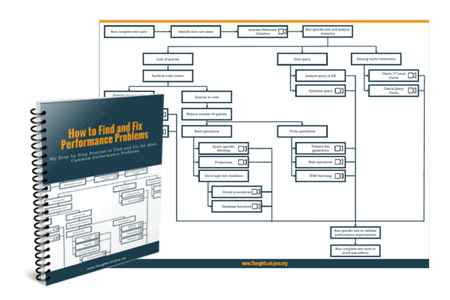 How do you find and fix existing performance problems? Over the recent years, I developed a process that helps me to find and fix the most common performance problems quickly. As a bonus to the Hibernate Performance Tuning Online Training, I want to share my process with you. It shows you step by step which questions you should ask, which statistics to check and which actions to take to find and fix performance problems in an existing application. Performance isn't something that you can easily add in a later iteration of your project. You need to work on it as early as possible. In the best case, you start thinking about performance when you implement your entities. There are several things you should do and not do when you implement a new entity. This checklist helps you to avoid the most common pitfalls and so that you don't have to worry about them when you deploy your application to production. ​I'm looking forward to showing you how to use Hibernate to implement high-performance applications. Watch more than 4 hours of the Hibernate Performance Training training on video. Get all example projects that are used during the training. Study at your own pace with life time access to all training material. Try what you have learned in practical exercises. Get an extensive handout with commented slides. Join the community forum for 6 months to discuss your questions with like-minded students and me. "I have been using Hibernate off and on for several years to supplement our custom Java database framework. A year ago, we decided to migrate our monolithic application to microservices using JPA/Hibernate as the persistence framework. We have aggressive timelines so we needed to accelerate our knowledge of how to properly use hibernate so that our services would scale to meet the needs of our customers. We discovered that using hibernate was easy, but using it so that it scaled required deeper knowledge. I came across Thoughts-On-Java while scouring the web for information on performance and pitfalls. After subscribing to the newsletter, it became clear that Thorben has a firm grasp on exactly the issues we were addressing. We signed up for the Expert Bundle which included Hibernate Performance Tuning Online Training and Advanced Hibernate Online Training. The videos and exercises really hammered home the concepts. I recommend the training to anyone who want their Hibernate applications to scale and be maintainable in the future." 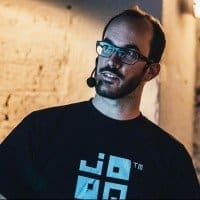 "Thorben not only excels with his knowledge about modern JPA API usage – he also consistently stresses the importance of knowing the underlying SQL technology. As a very SQL-oriented person, I’m very happy to have visited this very informative ORM course, which helped me better understand the persistence perspective." Watch only the videos and study on your own or use your new knowledge in exercises and join me and other students in the community or discuss detailed questions in a consulting call. Select the package that fits best to your personal style of learning. Get the Advanced Hibernate Online Training and the Hibernate Performance Tuning Online Training at a discount and become a Hibernate expert. Certification Class of the Hibernate Performance Tuning Online Training. I'm also available for in-house training. I strongly believe in the value of this course and that it will help you to improve your understanding and usage of Hibernate. 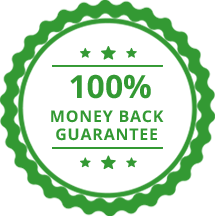 Therefore I confidently back this course with my 30 Days Money Back Guarantee! If you are not satisfied with the course, contact me within 30 days after your registration and I will refund your money without any further questions. What version of Hibernate will this training be based on? The code examples are based on Hibernate ORM 5 but you can also use most of the features with Hibernate 4.3. Can I have a look at an example lecture? Sure! This is the lecture about Hibernate's 1st level cache. It's one of the 3 different caching options I show you in the training. What other technologies should I be familiar with? You should be familiar with Java, of course ;-) and have at least some basic knowledge of Relational Database Management Systems (RDBMSs) and SQL. What happens if I don't like the training material? Don't worry. Just send an email to thorben@www.thoughts-on-java.org within the first 30 days after your registration and you'll get your money back. You get life-time access to all lectures, example projects, exercises and handouts. What is the difference between the slides and the handout? The Self-Study package includes PDFs with the slides used in the lecture videos. You can download the slides for the 1st Level Cache lecture here. The extensive handout included in the Full and Premium Training packages combine the slides with a transcript. You can download the handout for the 1st Level Cache lecture here. Do I have to have any experience with Hibernate ORM? Yes, you need to be familiar with basic Hibernate concepts and annotations. This training will focus on advanced features and will not provide a basic introduction to Hibernate ORM. Let's talk about it. Please send me an email to thorben@www.thoughts-on-java.org. Join The Hibernate Performance Training Now!